Rosh Yeshiva of Ohr Yisrael says academic studies are Greek culture in disguise and must be avoided. Rabbi Yigal Rosen, the Rosh Yeshiva of the Ohr Yisrael Yeshiva in Petah Tikva, slammed the academic study of haredi students, calling academic studies 'pagan' and 'Greek' on the second day of Hanukkah, when the Jewish people celebrate their victory over the Syrian Greek invaders who wished to supplant Jewish culture with the culture of ancient Greece. "Greek culture causes a man to constantly reach for another degree and another degree, whether it be called doctor or whether it be called professor. The idea is greater than the person. Greek culture is a forgery of the Torah of Israel. It takes the hidden things and makes them external." Rabbi Rosen told his students. Rabbi Rosen stated that the economic motive is not a factor in matters related to spirituality. "The ones who began [academia] were the Greeks. It is Greek culture. The word 'Akademos' is a Greek word which belongs to their culture [and means] to elevate the idolatry of wisdom - 'you become greater with a degree.' This forgery began to penetrate our culture by appearing in the guise of livelihood, but in truth it is Greek culture." While Rabbi Rosen stated that the need to make a living cannot be discounted, he compared learning in academia to ringing church bells to make a living. 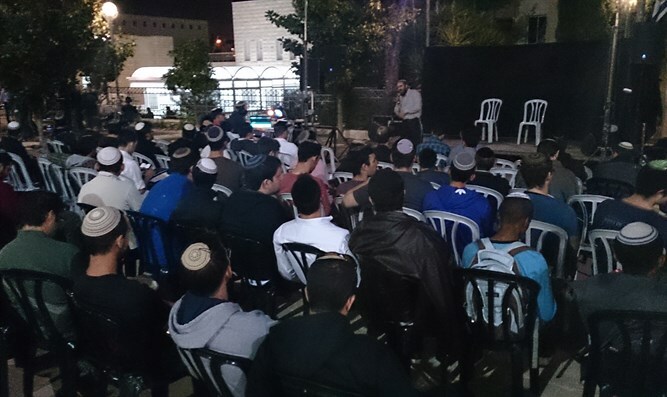 A special conference on setting up seminars for the haredi community was held last week at the Pais Arena in Jerusalem. Sveral speakers from the conference said that contact with the secular world through academic study was lowering the spiritual level of haredi women.